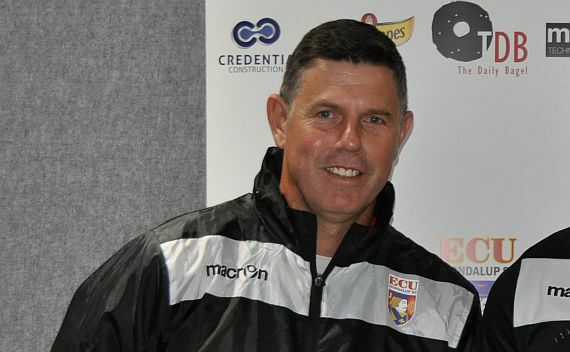 It’s with regret that we announce the departure of long time servant of the ECU Joondalup Soccer Club – keeper and Coach Andy Petterson – who has signed a full time contract for Ilocos United FC in the Philippine Premier League. “Andy has been outstanding for us since he arrived from the UK, between the sticks and on the training track,” Jacks Director of Football Steve Amphlett said. “He has worked with all our goalkeepers and his expertise has given them the best opportunity to play at the highest level. Petterson who played his junior football for East Fremantle Tricolore, before heading overseas and playing 25 games for Luton Town, 85 games for Charlton Athletic in the EPL and 32 games for Portsmouth. He also had spells on loan at Swindon Town, Ipswich Town, Bradford City, Plymouth Argyle, Colchester United, Torquay United, Brighton and Hove Albion, Southend, Walsall, and a stint at Newcastle Jets before heading back to the Jacks in 2006. He has coached the keepers at the club since hanging up the gloves, and was assistant coach to First Team coach Steve Amphlett. He was also the clubs Technical Director of Football and also coached the Perth Glory’s women’s team. The club wish Andy all the best for the future.